Jamie MacDonald, Luke Hendrie , Iain Wilson, William Boyle, Steven Smith, (Innes Cameron 77), Rory McKenzie (Dean Hawkshaw 31), Greg Taylor, Gary Dicker , Jordan Jones, Souleymane Coulibaly, Nathan Tyson (Kris Boyd 61). Subs Not Used: Devlin MacKay, Martin Smith, Charlee Adams, Adam Frizzell. 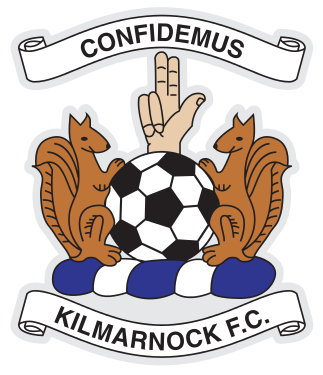 ‘Twas two nights before Christmas - and I wondered whether a visit to Rugby Park to watch Killie take on St Johnstone would help with a cheery Festive spirit or bring on feelings of The Grinch? Sadly it would be the latter on a windswept and horrid evening of weather - and football! Killie started brightly enough with some neat passing moves and playing the ball on the ground. However the Perth side were doing the same but with a difference - they had the type of player (in Swanson and Miller) which has not been seen playing for Killie for a while: a creative midfielder. The first goalie to be tested was Zander Clark when McKenzie fizzed in a low left shot after an exchange of passes with Tyson but the Saints keeper managed to flap it away for a corner. Soccer AM's Goal of the Year scorer Coulibaly had a reasonable shout for a penalty waved away by the ever infuriating referee Stephen Finnie when it did seem as if he was pushed by Easton as a cross was swept over from the left by the impressive Taylor. McKenzie then popped up on the left post of MacDonald’s goal to head away a net bound header from the Saints midfield “enforcer” Murray Davidson following a corner on the Killie right. Both McKenzie and Smith have received criticism on the fans’ forums this season with some of it justified. However, they both do a lot of the “dirty work” such as tracking back, blocking tackles and runs etc. Their absence later in the game was to show what the side would be like without them both. McKenzie was to be substituted after 37 minutes following a surging run into the box and a back heel; it did look like a hamstring injury but with the lack of information on injuries from the club your guess is as good as mine! As the game approached half time it did look unlikely that the stalemate would be broken. However, that man Davidson, perhaps the windy weather, and poor Killie defending (yet again!) at a set piece combined to ensure that it would be Saints who would take the lead in the 43rd minute. Another corner was swung in, this time from the Killie left, totally missed by Easton but more importantly by Will Boyle, it fell to the unmarked Saints midfielder who did show composure in sweeping the ball straight into the right corner of the Killie net from about 9 yards out - it was horrid to watch how simple it was to score and even more annoying to watch replays which showed if there had been a man on the post they could have cleared it. There had been little to cheer the fans in the first half and Killie were the better and more dominant team for the first 20-25 minutes of the second half. During that period a combination of poor finishing and bad luck kept the Saints goal intact. Young Wilson was unlucky from a fee kick when he shot straight at Clark. It did seem the Saints defence (especially their central defenders) was vulnerable to pace which made the substitution of Tyson with Boyd in 62 minutes simply baffling. Kris Boyd has actually out paced a defender this season but it was someone playing for Rangers who is nearly 40 years old. 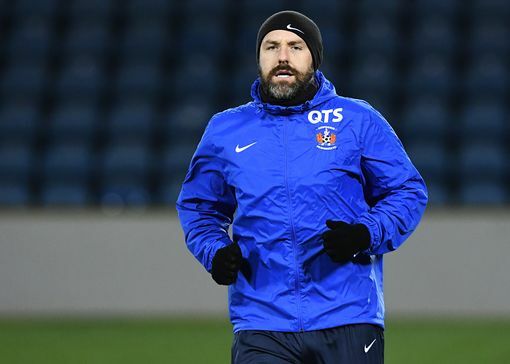 Lee Clark was later to admit that was the wrong call and those who suffered watching the game and also the Caley Thistle match must wonder how Jones played the 180 minutes without any delivery or end product. We can only imagine how good his corner kicks must be in training as he continues to be given that duty despite infuriating everyone with his deliveries. 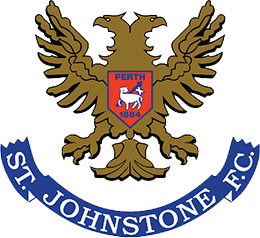 St Johnstone were hardly in the second half until manager Clark surrendered the midfield to them completely by replacing skipper Smith with young striker Innes Cameron in the 78th minute. 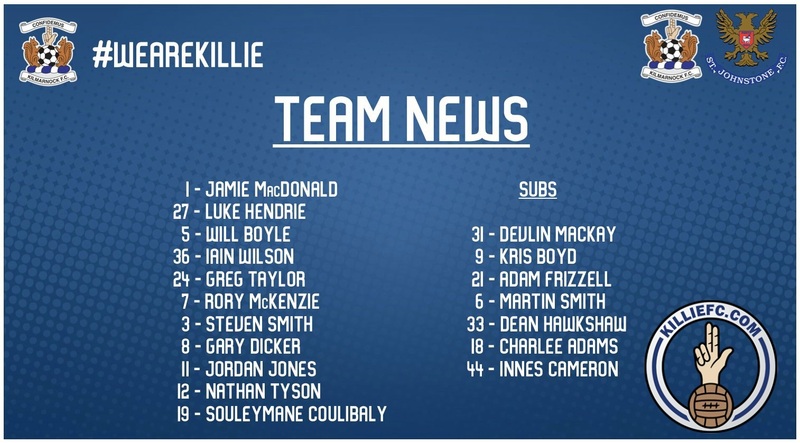 Whilst it was admirable to try and get a goal back by playing four attack minded players the ball has to get to them in the first place and that simply never happened with Killie resorting to “hoofball” as they only had Dicker and Hawkshaw in the middle of the park. The away side totally dominated the final part of the game and could have scored a couple of goals with MacDonald once again pulling off an amazing double save from Cummins. In the lead up to that goal Greg Taylor was blatantly barged by Alston but Mr Finnie simply waved play on. The Killie stopper then had to dive smartly to his right to save from Saints left back Easton who was allowed to run through the middle of the park and shoot - did I say we now had an ineffective midfield? As the clock was ticking down Hendrie got involved in a “hand bags” issue with striker Cummins with them both yellow carded. In the dying seconds, the ever fussy Finnie directed Hendrie to retreat to take a free kick and the Killie right back allowed the frustrations of the evening to finally get to him - clearly telling the ref what we all thought of him and being red carded. I’m sure the midfield is the most important part of a side and the Saints had the right balance of creativity, power, tackling etc. 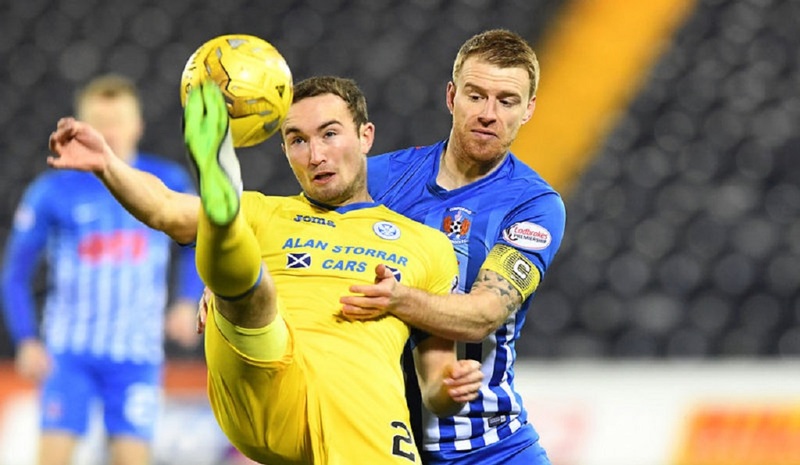 Despite signing lots and lots of players the search for a creative player for the Killie midfield continues...for how much longer? Oh....and I wonder if Lee Clark asked Santa for a book on substitutes and how to use them best? Finally full credit and grateful thanks to the emergency team who treated the fan in the East Stand for a while during the first half - here’s hoping the gentleman is okay and makes a full recovery. Lee Clark: "The St Johnstone players managed the situation very well and Luke has got frustrated by it. It looks to me that the second one (yellow card) is foul and abusive language, so we're very disappointed. But that was just an indication of where we were - ill-disciplined and fragmented. I cannot fault the effort of the players at all but I just felt there was no cohesion and I played a big part in that because I made the wrong call in taking Nathan off."